– 1/4″ Thin Stamped Overlay: The exact look and feel of conventional full depth stamped concrete but is applied directly to existing concrete. 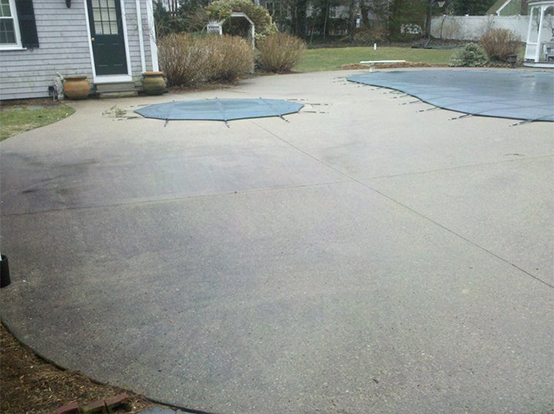 – Splatter Texture Overlay: Applied approximately 1/16″ to 1/8″ thick to existing concrete to create a non-slip texture. Can be applied as plain gray or unlimited color and design choices. Patterns can replicate that of brick, stone, slate, tile, etc. – Slate Trowel Overlay: Very similar to splatter texture overlay but typically a smoother finish. – Full Depth Stamped Concrete: The concrete is poured, colored and embossed with a pattern all the same day. Designs, patterns and color choices are near limitless. 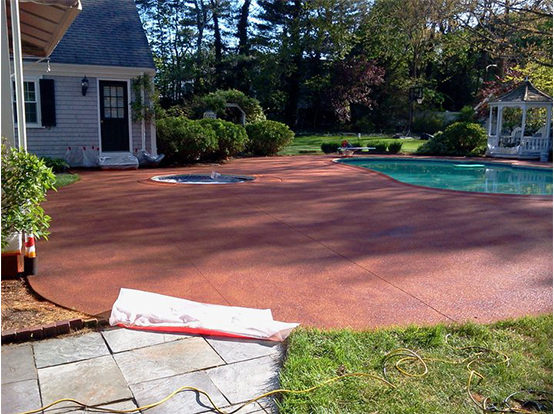 – Concrete Staining: Transforms play gray concrete into a multitude of color options. – Concrete Coloring: The concrete and be integrally colored before it is poured or it can be colored afterwards. – Concrete Restoration: Repair unsightly spalling and pitting. Repair uneven or sunken surfaces. – Seamless 1/4″ Thin Stamped Overlay: Creates a light natural looking stone texture. Grout lines to replicate stone, tile, slate, etc. can be added for addition design options. 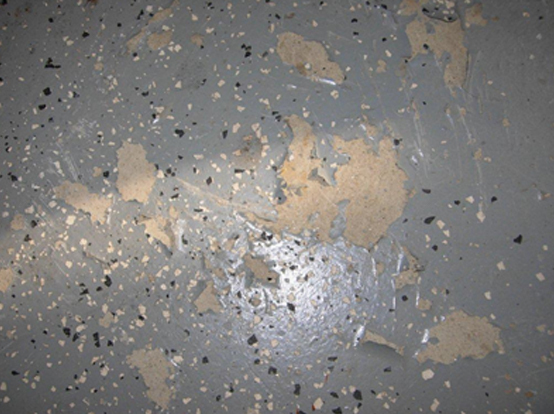 – Splatter Texture Overlay: Applied approximately 1/16″ to 1/8″ thick to existing concrete to create a non-slip texture. Can be applied as plain gray or unlimited color and design choices. Patterns can replicate that of brick, stone, slate, tile, etc. Ideal for indoor pool decks, water parks, public restrooms or locker rooms where water may be present but a non-slip finish is required. 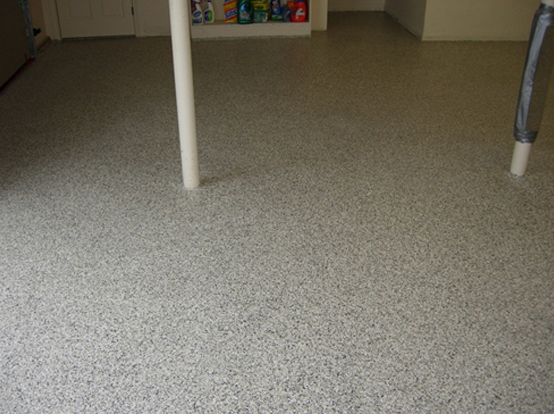 – MICRO-FINISH™ Seamless Floors: Applied to existing concrete less than 1/16″ thick and literally as smooth as glass. Patterns, colors and design themes are absolutely limitless. – Modified Slate Trowel Overlay: A smoother version of the conventional Slate Trowel Overlay for exterior uses. – REFLECTOR™ Enhancer Flooring Systems: Absolutely the hottest tend in commercial, retail and residential flooring systems with designers and architects. – Industrial Flooring: Protective high wear coatings such as epoxies, polyurethanes and polyaspartics for manufacturing facilities, medical clinics, industrial warehouses, etc.